On the Board of Trustees of Los Angeles County Museum of Art (LACMA), Andy Brandon-Gordon, with his husband Carlo, has a restaurant called Nerano in Beverly Hills. There they showcase a selection of works from their own art collection as well as Jane and Marc Nathanson’s collection. 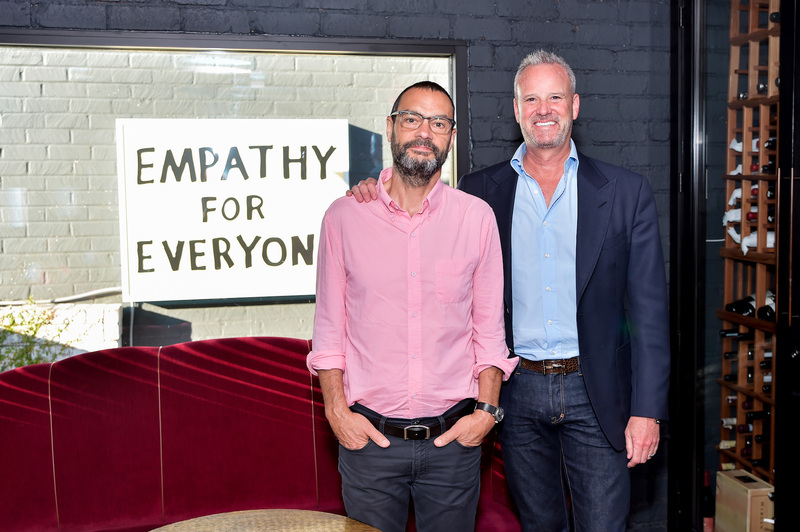 One such work is a light-box piece called “Empathy for Everyone” by the artist Sam Durant, the Brandon-Gordons will gift to LACMA as a promised gift. 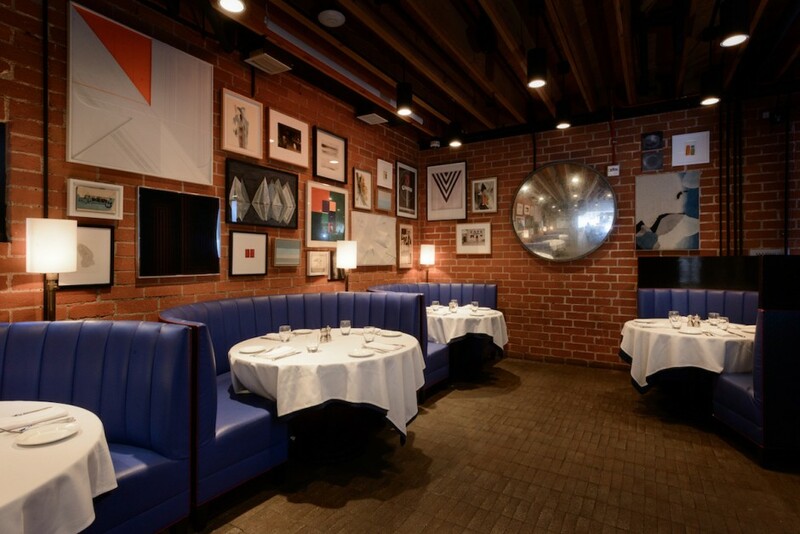 Andy Brandon-Gordon shared with Larry’s List why they would like to display art in their restaurant, their most treasured work, his experience as a Trustee at LACMA, as well as their collaborated art program with LACMA. 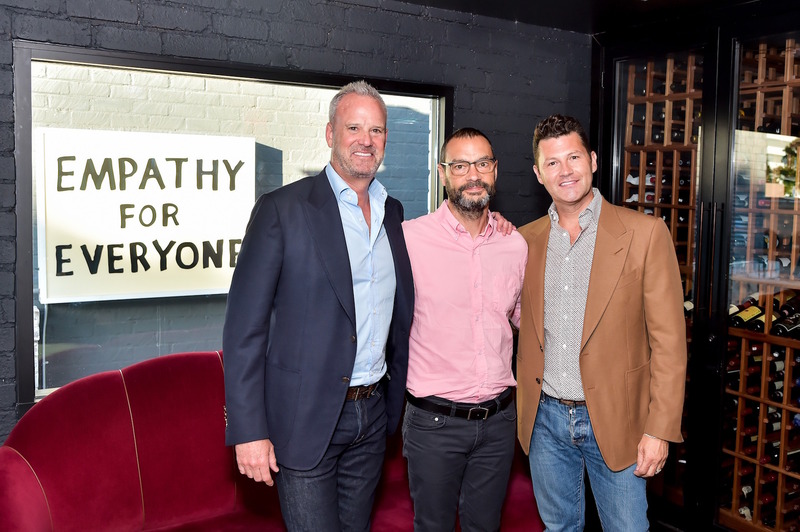 Host and LACMA Trustee Andy Brandon-Gordon, Artist Sam Durant, Carlo Brandon-Gordon. Courtesy of LACMA. I first discovered my love for art after I took a few art history classes at Wesleyan University. My husband Carlo also fell in love with art during his time at Berkeley. Collecting art is a true passion of ours, and is a great way to have things we enjoy being around that we may appreciate over time. Lounge interior. Photo: Rob Stark. Courtesy of Andy Brandon-Gordon. There’s a mix. At Nerano, we are more interested in showcasing emerging artists as we want to provide a dynamic art, food and wine program that allows for us to support the great and unique art that is transpiring at a local level in Los Angeles. We wanted to create a space at our restaurant where those of all ages can come to enjoy art alongside great food. While we like to keep the focus on emerging artists, we do have some renowned artists like Sam Francis, Jon Baldessari and William Wegman as part of the collection, amongst others. The particular pieces we are typically drawn to are ones that inspire positive feeling and happiness but also complement the environment at Nerano. 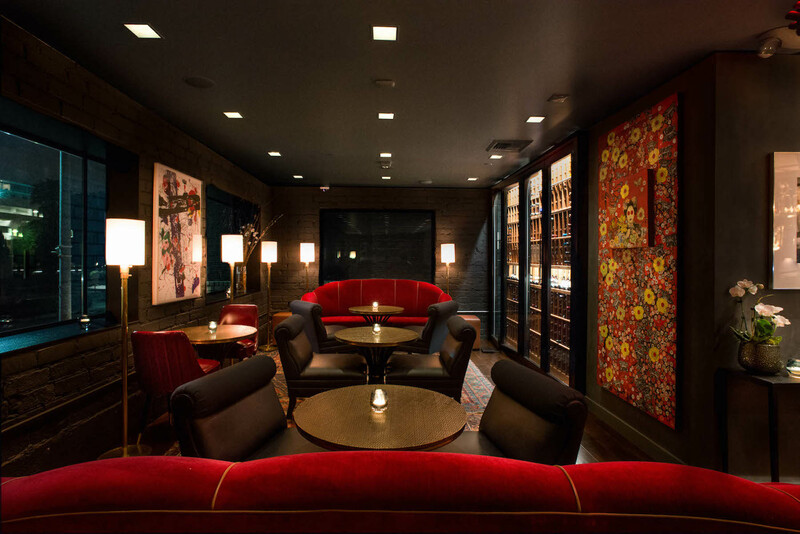 The subject matter, size, composition and color can influence the feel of the space, and even the food and wine program. Two works by William Legmen, at Nerano. Photo: Rob Stark. Courtesy of Andy Brandon-Gordon. How many artworks do you own? How many of them are displayed at home and how many at you and your husband’s restaurant, Nerano? At the restaurant, we house over 25 works of art. Between our two homes in Sherman Oaks and Malibu, we own somewhere around 25-30 pieces. How did you come up with this idea to display your and others’ art collection at Nerano? We came up with this idea as we felt like it was an important part of the overall aesthetic of what we were trying to achieve at Nerano. 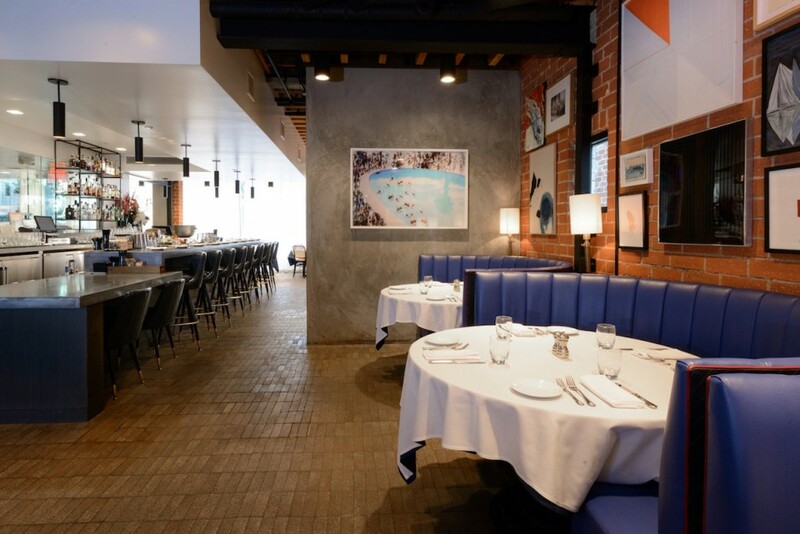 At one of our sister restaurants, Bar Toscana in Brentwood, we started to incorporate art pieces into the décor and really enjoyed how it brought the space to life and wanted to replicate that at Nerano. We were also inspired by what Wolfgang Puck did with Spago years ago with the Marciano collection and wanted to build upon that. A collection wall with works by Michele Feder, Patrick Bonneau, Peter Novak, Sheri Lee Robinson, Nancy Levy, Mineral Workshop, Anna Ullman, Edward Winter, and others. Photo: Rob Stark. Courtesy of Andy Brandon-Gordon. 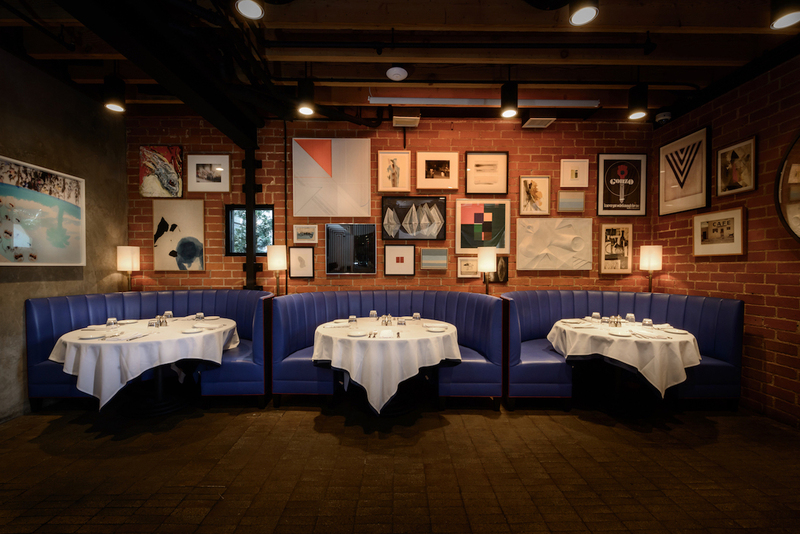 Which other collectors also have their artworks in your restaurant? Jane and Marc Nathanson. 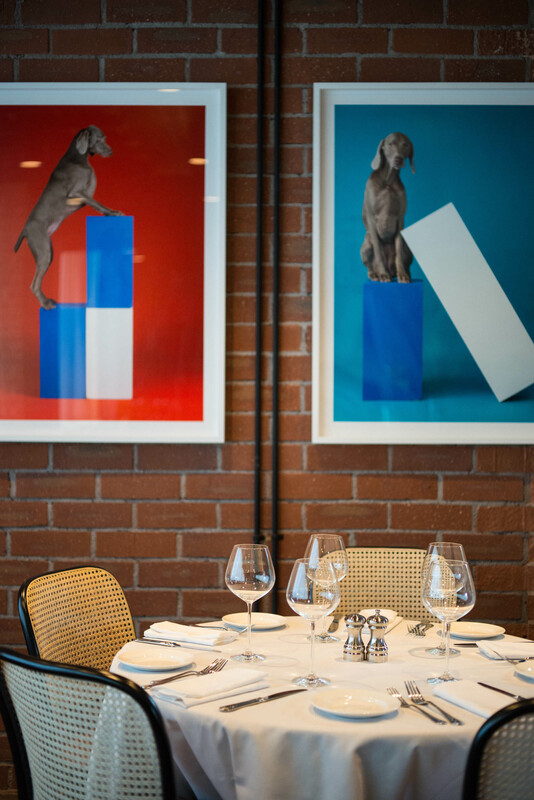 The bulk of the art we have at the restaurant comes from the Nathanson collection. Not only are they the landlord for Nerano, but they have also been avid art collectors for the last 40 years. How often do you change the art display at the restaurant? We don’t have a set timeframe where we change out the art, however annually we do like to switch things around to keep it fresh. Photo: Rob Stark. Courtesy of Andy Brandon-Gordon. Carlo and I first purchased two Michael Reich photographs together from a gallery in London. It is a large-scale black and white landscape composition but is done in a way that erases any trace of human interaction. It’s spectacular. The latest piece of work we purchased for Nerano was the Sam Durant “Empathy for Everyone” piece that we have promised as a donation to the Los Angeles County Museum of Art. Andy’s most treasured piece: Sam Durant, Empathy for Everyone. Photo: Stefanie Keenan. Courtesy of Andy Brandon-Gordon. This is a tough question – almost like asking who our favorite child is! With that said, the Sam Durant piece is very special to us. The artwork is essentially a large light box that contains a saying from a poster at one of the Women’s marches on Washington. 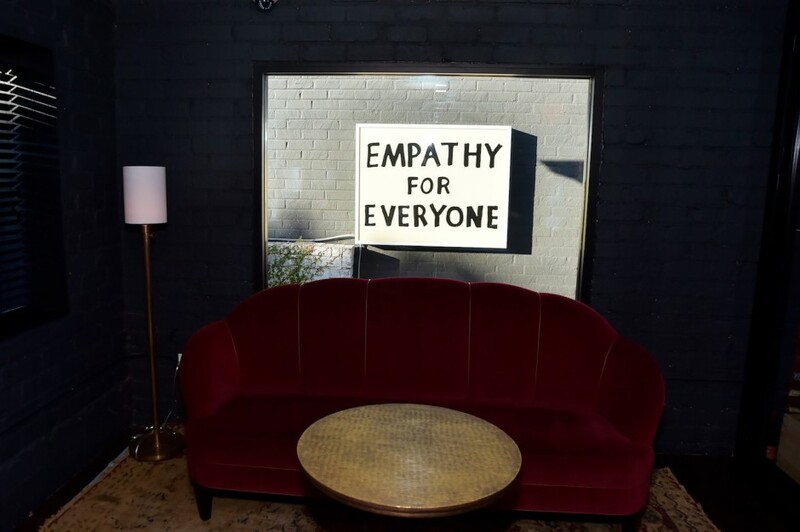 The term “empathy for everyone” is also relevant to Los Angeles and creating a space where anyone in Los Angeles can come, feel comfortable and enjoy each other’s company. The piece brings the room together and adds a warm touch. In terms of our own personal collection, we have a piece from Angel Otero, who is a well-known Puerto Rican artist, which is called “Immediate Worlds”.Carlo and I also love 60s light and space movement art from artists like James Turell, Helen Pashgian, and Mary Corse. Andy and Sam Durant. Photo: Stefanie Keenan. Courtesy of Andy Brandon-Gordon. We’ve met a lot of artists we have art from. If the artist is alive, we enjoy taking the time to get to know them and learning more about why the piece might make sense for our space. In how far can your restaurant be a prelude to a private art museum of yours in the future? We are not trying to be a private art museum by any means. We believe in public institutions and we would love to donate our collection someday to the Los Angeles County Museum of Art, as we would want as many people to enjoy it as possible. How did you start getting involved with LACMA? How is the experience being on the Board of Trustees so far? I was recruited by Eli Broad, Lynda Resnick, Nancy Daly in 2004 to join the Board of Trustees. We hired Michael Govan, the current director for the Los Angeles County Museum of Art, who has been an inspiration in Los Angeles, as well as the world art community. His presence is intoxicating and infectious and was the reason why all my colleagues and I on the board supported Michael’s current vision for the museum. 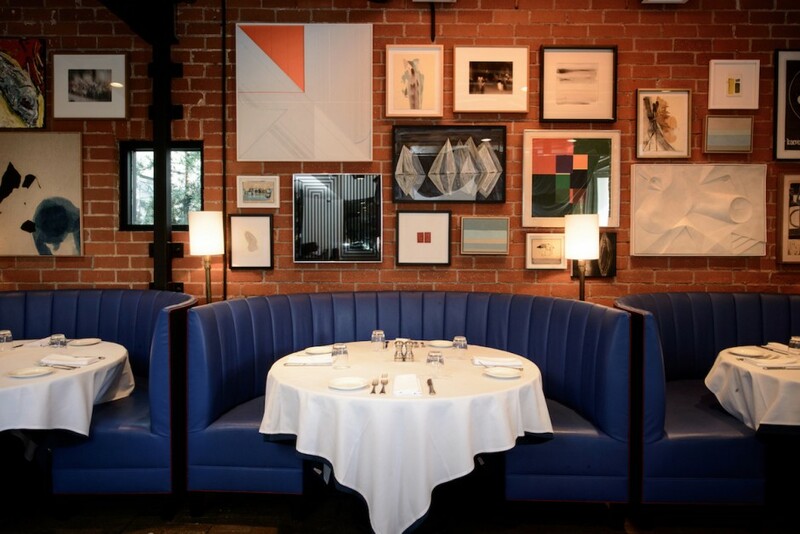 What motivated you to gift an artwork now displayed at your restaurant to LACMA? The idea of having a collaboration with Los Angeles County Museum of Art was Michael’s. He inspired the idea to use our art program to support local artists. So LACMA is introducing you to more LA-based artists from whom you could commission works and similarly gift them eventually to the museum. How do you see this model may work among the collector community in LA? Yes, I think it is certainly something others can mirror if they are interested in collecting local art for their spaces. We truly enjoy getting to know local artists and helping them with their success and growth within the art community. Nerano restaurant. Photo: Rob Stark. Courtesy of Andy Brandon-Gordon.